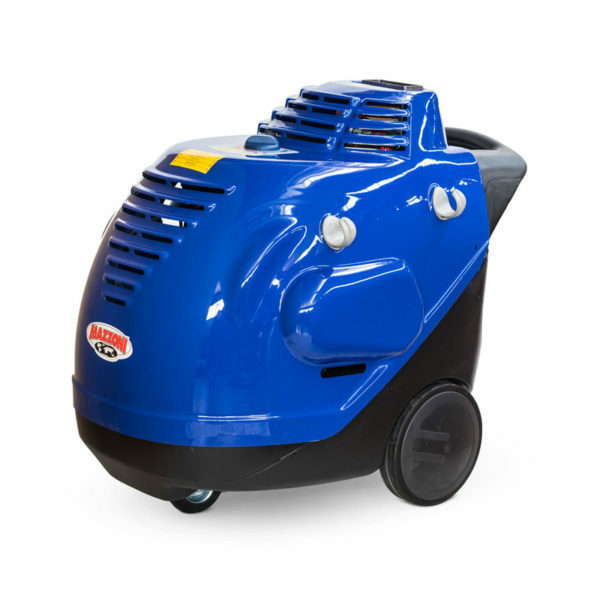 Mazzoni Hot water high pressure washers modells MH belong to the top of the middle range and are designed for professional use. Diesel boiler, electrical motor with elastic coupling , made by Mazzoni, guarantee low consumption and low emissions, while ensuring high performance. The front rotating wheel makes easier the movement. Recommended Use: Car Wash, workshops , agriculture etc. 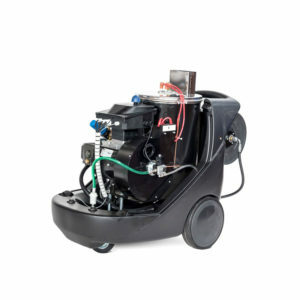 With the option for an additional hose reel at £150.00 plus vat. Mazzoni Hot water high pressure washers models MH belong to the top of the middle range and are designed for professional use. Professional high pressure washer . Compact , easy to handle , ideal for every need of outdoor cleaning , versatile and high performanc. Stainless steel lance with automatic spray gun and quick coupling for accessories. Stainless steel boiler with steel pipe coil, stop the burner in case of water lack.